Reinforcement that the successful summiting of Everest in 1953 was a team effort where everybody played their part is the theme that underpins Everest Untold. There’s a reminder too, that the expedition included a second New Zealander, alongside Ed Hillary. The play is part climbing experience, part history lesson, and part personal revelation. It features expedition leader, Sir John Hunt and the expedition’s “other Kiwi” George Lowe. After becoming firm friends and climbing companions on Mount Cook, it was George, a native of the Hawkes Bay, who first suggested to Ed that they might have a crack at climbing in the Himalayas. On the 1953 Everest Expedition George and Ed climbed together in the early stages but then Ed teamed up with Tenzing and the rest is history. Or so we thought! Everest Untold aims to transform our “modern understanding” of those events of sixty years ago. 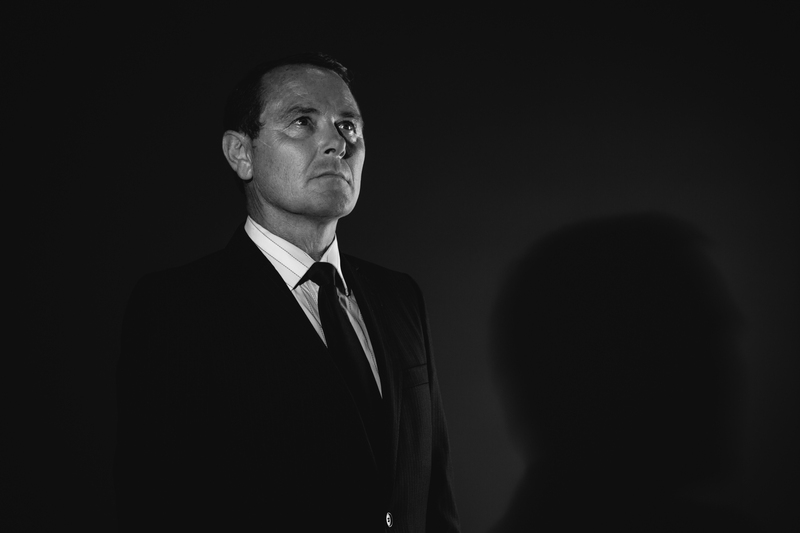 Stephen began his long theatre career in the late 80s, after graduating from Toi Whakaari. Since then he has won acclaim for his “intense, standout” work in The Only Child (Silo Theatre, 2011), and in the Tom Stoppard classic Arcadia (Circa, 1995) and When the Rain Stops Falling (Silo Theatre, 2010). He appeared in Jane Campion’s Top of the Lake, in the TV movie The Kick and most recently in the TV series Hope and Wire, about the Christchurch earthquakes. Recent theatre appearance include roles in Rupert, Guys & Dolls, Enlightenment as well as the lead in Maurice Shadbolt’s Once on Chunuk Bair all for ATC. Edwin has appeared in numerous theatre productions including The Glass Menagerie for Auckland Theatre Company as well as The End of the Rainbow and The Pohutakawa Tree. He has also performed in The Dumb Waiter, Arcadia and Richard III . Most recently he has been touring in the production of Manifesto 2083. His screen credits include King Kong, Underworld III, Top of the Lake and Matariki. . Last year he attended the Sundance Film Festival where he had two films premiering: Turbokid, and Slow West, which won the World Cinema Grand Jury Prize. Edwin is a graduate of Otago University’s Allen Hall Theatre with a BA in Theatre Studies. Founder of Ffynroc Productions, Nalayini has been involved in the production of plays in New Zealand as well as the UK and is a trustee of the Waiheke Book Festival. A graduate of Toi Whakaari NZ Drama school, Toby is an actor and a writer. He was part of the team that created Wheeler’s Luck and was last seen on NZ television on Shortland Street. Everest Untold was his professional directorial debut. Reservations can be made by calling the Box Office ph. 04 801 7992. Stephen Lovatt and Edwin Wright are the stars of Everest Untold. Circa Studio Theatre, Wellington, until June 11. There has been much documented over the last 60 years about one of New Zealand’s greatest adventurers, Sir Edmund Hilary being the first man, along with Sherpa Tenzing Norgay, to climb to the top of Mt Everest. But little has been told about the others in the team, led by British Army officer Sir John Hunt, which included another Kiwi, George Lowe . And it is the role Hunt and Lowe played in assisting Hilary to achieve his momentous climb, that, as the title suggests, is the essence of Gareth Davies’ play Everest Untold, currently playing in the Circa Studio. It sees the stoic, militaristic Hunt (Stephen Lovatt) is giving a very detailed talk about the team’s exploits, joined part-way through by the down-to-earth, typically Kiwi bloke Lowe (Edwin Wright) . Full of endless facts about the climb and all the intricacies of what it took to reach their goal, the structure of Davies’ play combines narration with interacting dialogue, to give a certain amount of dramatic depth and interest to the story so that it never becomes boring. And there is sufficient tension in the exchanges between the two – Hunt giving the distilled glossy version, while Lowe adds in much of the basics of what really went on – to hold the audience’s attention. But to achieve this, the play needs performers of consummate skill and in Lovatt as Hunt and Wright as Lowe, the production succeeds exceptionally well. With Lowe on one side of the stage in front of a New Zealand flag and Hunt the other in front of the Union Jack, they use a series of slides to tell their story, expertly building to what little dramatic climax there is in the piece – that moment before the summit is reached – to make the piece incredibly captivating. Lovatt is the epitome of the stiff-upper-lip British army man, never letting his guard down or ever showing any emotion, until the final moments, while Lowe is the gutsy guy who tells it like it is with much raw emotion. 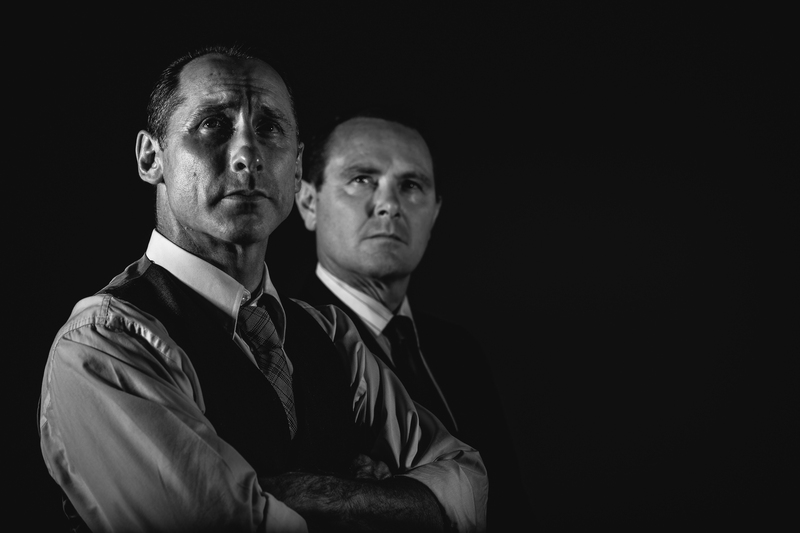 Together these two work together exceptionally well as a team, sparking off each other with great confidence, to make, what could be considered a slight piece of writing, entertaining and very engaging theatre. Raymond Hawthorne: I can’t tell you how informative it is, how entertaining it is and what a great evening it was at the theatre. Kate Ward-Smythe – Theatre Reviewer: I’m left feeling proud to be a Kiwi, and happy to be fully enlightened about the 1953 team, especially the ‘other’ Kiwi in the band. Prue Smith – Chair of the Himalayan Trust: The play will contribute to keeping the memory and historic significance of the Everest summit ‘alive’ in the minds of Kiwis today. Bruce Chad-Lowe – George Lowe’s son: I understand the adulation of Hillary and Tenzing but what this play tells is actually THE story. I wouldn’t have missed it for the world!